Where are Temporary Flight Restrictions? Click here to find out! We have written this book in order to share solutions to the dilemmas that are often faced by inexperienced software developers. Are you doing all you can to further your career as a software developer? With today's rapidly changing and ever-expanding technologies, being successful requires more than technical expertise. To grow professionally, you also need soft skills and effective learning techniques. Honing those skills is what this book is all about. Authors Dave Hoover and Adewale Oshineye have cataloged dozens of behavior patterns to help you perfect essential aspects of your craft. Compiled from years of research, many interviews, and feedback from O'Reilly's online forum, these patterns address difficult situations that programmers, administrators, and DBAs face every day. And it's not just about financial success. 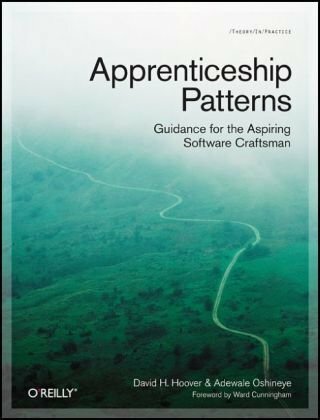 Apprenticeship Patterns also approaches software development as a means to personal fulfillment. Discover how this book can help you make the best of both your life and your career. Burned out at work? "Nurture Your Passion" by finding a pet project to rediscover the joy of problem solving. Feeling overwhelmed by new information? Re-explore familiar territory by building something you've built before, then use "Retreat into Competence" to move forward again. Stuck in your learning? Seek a team of experienced and talented developers with whom you can "Be the Worst" for a while. Dave Hoover is the Chief Craftsman at Obtiva where he helps lead Obtiva's Software Studio and apprenticeship program. Adewale Oshineye is an engineer at a little-known search engine named Google.